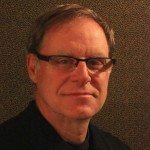 Rod Huff is a successful business executive with 30 years experience in the operations and administration area. He began his baseball coaching experience as an assistant coach when his son, Austin, was five years old. His first head coaching experience began in 1995 when his company, Sparrow Records, sponsored his 7- and 8-year-old coach-pitch team. That year, as a first-year coach, his team, nicknamed the Birds, went 15-2. That season ushered in somewhat of a dynasty in his Brentwood, Tennessee, community, where he is known as one of the winningest coaches ever in the local league. His nine-year record as a head coach includes five league championships and four runner-up titles. Huff took his operational and administrative executive abilities to the ball field and came up with a winning formula of organization, feedback, and motivation, which had parents and players alike asking to be drafted by him every year. 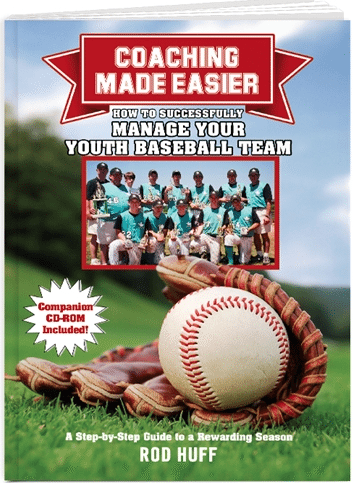 He shared this system in his book, titled Coaching Made Easier: How to Successfully Manage Your Youth Baseball Team—A Step-by-Step Guide to a Rewarding Season. Rod gave a game-ball at the end of each game to a player, and he always would wait until every other kid had earned one before he would give one to his son. One year when the time came to give his son his game ball, his son had a terrible game, so Rod and the assistant coach had to ‘manufacture’ a creative way to reward him for something he did in the game. Lesson learned: should you save your son for last – or try harder to just treat him as every kid and give it to him when he deserves it? Communication about playing time – If a player is not playing/starting because of their attitude in practice – be sure to communicate the reason to them. If you are struggling with something in games – make a fun game out of it to practice. And repeat it, maybe for the entire practice, until the kids are comfortable and know what they are supposed to do. Use stats to set your lineups. This is a good way to motivate improvement, and also it takes subjectivity out of it. Coach Huff had a game against their rival where his players were struggling hitting, and when they came into the dugouts, he told his players to keep quiet – because their bats were asleep and he didn’t want to wake them up. This relaxed his team and they turned it around after that. Tim Corbin – Vanderbilt coach: Empty your bench in inning changes – Anyone on the bench, between innings, go out and throw/stretch to stay involved. Also does a huddle with his team at they come off the field from defense, including everyone on the bench. This entry was posted in Podcasts and tagged in Aspen Institute, athlete, baseball, basketball, Carol Dweck, Changing the Game Project, changingthegameproject.com, cheerleading, coach, Coaches Choice, Coaching, Coaching Made Easier, coaching podcast, coaching your own child, coaching your own kid, coaching youth, coaching youth sports, dad, dad coach, Daniel Coyle, daughter, ESPN, football, gymnastics, hockey, John O’Sullivan, lacrosse, mental toughness, mental toughness kids, Mindset, mlb, mom, mom coach, national alliance youth sports, nays, NBA, NFL, Parenting, pca, peak performance, Pete Carroll, podcast, podcasts, positive coaching, Positive Coaching Alliance, Project Play, Rod Huff, soccer, softball, son, sports, sports podcast, sports psychology, sports specialization, swimming, talent code, TEDx, The Classic Guide to the Mental Side of Peak Performance, The Inner Game of Tennis, Tim Corbin, volleyball, W. Timothy Gallwey, winning, Winning Youth Coaching, Winning Youth Football, youth, youth coaching, youth sports, youth sports podcast.